Days are getting warmer as winter turns into Spring. However, you’re not off the hook from rainy days yet. Heavy rains combined with melting snow can lead to floods. According to the Department of Homeland Security, floods are the most common natural disaster in the United States. They can build up over a long period of time or occur quickly with little warning. Brush up on flood preparation tips before disaster strikes. Ready.gov offers many flood survival tools. Based on their information, ServiceMaster Advantage compiled tips to help you prevent as much flood damage as possible in your Houston, Texas home. Just like any other natural disaster, start your preparation as soon as possible to minimize harm to yourself and property. Disaster can strike at any time so it’s important to be prepared. Research the flood risk in your area. Sign up for an emergency alert system. 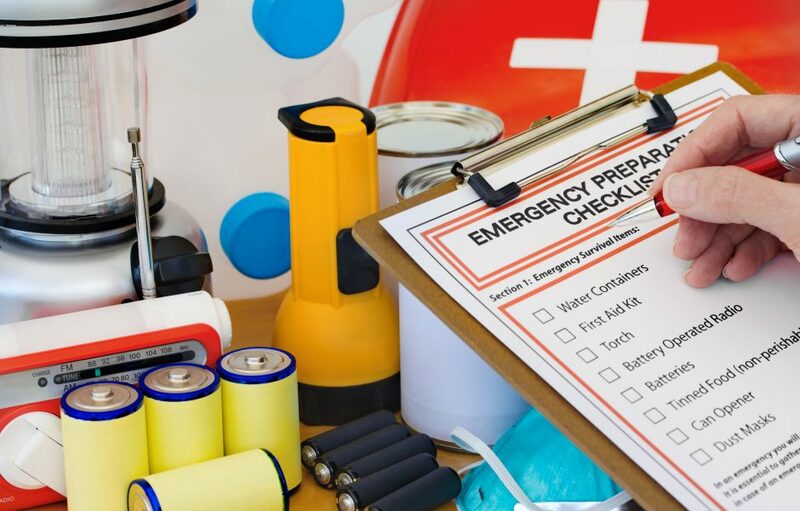 Make an emergency kit with supplies you’ll need for a few days such as food, water, extra batteries and a radio. Make sure you have digital copies of all important documents. Learn evacuation routes in your area. Create an emergency plan with family members. Agree on a meeting place and home exit routes. Make sure you have a flood insurance policy and document items inside of your property. You can’t control all of the outcomes when a natural disaster occurs, but there are many steps you can take to play it as safe as possible. The most important thing to do during a flood is to pay attention to evacuation zones and stay out of flood water. Evacuate immediately if told to do so by your emergency alert system. Don’t drive, swim or walk into flood waters. If you have to stay indoors, move to the highest level and signal for help. Listen to your battery-powered radio for new information about the flood. The weather can be unpredictable. Stay in a safe location until authorities give the all clear, even if the rain seems to be letting up. Once you’re able to access your property, be careful. Don’t use electronics in affected areas. Using electronics in a water damaged property could lead to electric shock. If possible, remove items from standing water. Open doors and windows to begin the drying process. Don’t remove grey or black water by hand. These water types often carry harmful bacteria. Turn off the water supply before making any repairs. Call a professional to get your property looking new. ServiceMaster Advantage in Houston, Texas is your local flood damage remediation experts. Contact us 24/7 for emergency restoration services. Dealing with the after effects of a natural disaster is never easy. Trust us to handle the entire process. Our team has the expertise and tools to remove standing water, thoroughly dry your property and remove mold and odors. You can expect us to repair your property in a timely manner, keep you informed and ensure the job is done right every time.